Many customer loyalty programs become an expenditure that can cut into profit margins without really creating increased loyalty. But there are successful customer loyalty programs that DO increase customer loyalty and WON’T hurt your pocketbook. And I actually found a few of them in a piece titled, “Loyalty Programs and Perks That Work.” And remarkably, they’re rather simple. Simple enough, right? Just about everyone likes pizza. Just about everyone orders pizza from time to time. 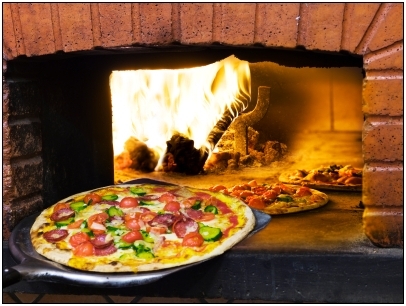 So as a consumer, you may think, “Why not get something back for something that you’re doing on a regular basis anyway.” And voila’, there’s your customer incentive – to order from your pizzeria as opposed to the competition’s because they’re actually going to get a free pizza out of it eventually. And here’s your cost effectiveness – giving away one pizza pie after 12 are ordered and paid for won’t be breaking your bank. Simple, yet effective. Talk about cost effective. A $200 return on $5 worth of expense isn’t bad at all. If it’s done daily, that’s several thousand additional dollars of income per month and it only cost your business approximately $150 a month to earn those extra thousands. Not bad at all, right? Think about that for a moment . . . spending approximately $150 to earn an approximate $6,000 return in a 30 day calendar month. Again, simple yet cost effective. It greatly increases your profit margins with very little associated expense. It provides a clear and worthwhile incentive to your customer to loyally choose YOU above your competition. It’s a win-win situation for all involved. As a small business owner, it won’t break your bank or dip into your profit margins and it provides your customers with the incentive to remain loyal to you and come back for more of what they love – your product or service. For more tips on creating effective customer loyalty programs, read the article at Business on Main. John: I would learn from companies that have been working with loyalty / rewards program for a long time. Have you heard about Lyoness cashback card? I Like Your Blog About Tips for Offering Customer Loyalty Programs.I Am Very Happy To Read Of Your Blog.Really Great Post.Its Brilliant. A new customer loyalty concept businesses are starting to use is providing codes/cards to customers after every purchase. The difference is that the codes are entered online via 3rd party web-based loyalty program (Cinco Squared). The customer then hits a button and watches images of prizes go through a cool sequence and one is randomly chosen. This page is branded with the business lot, etc and prizes are completely customizable with anything a business wants. What is great about this is that businesses can define the odds of each discount/prize. The chance to win a big discount or prize is very appealing to customers. The ability for businesses to throttle discounts makes this a much more profitable program. Other features like collecting customer email addresses and the ability to run multiple discount tiers is pretty slick. Cinco Squared is probably the most affordable program available.